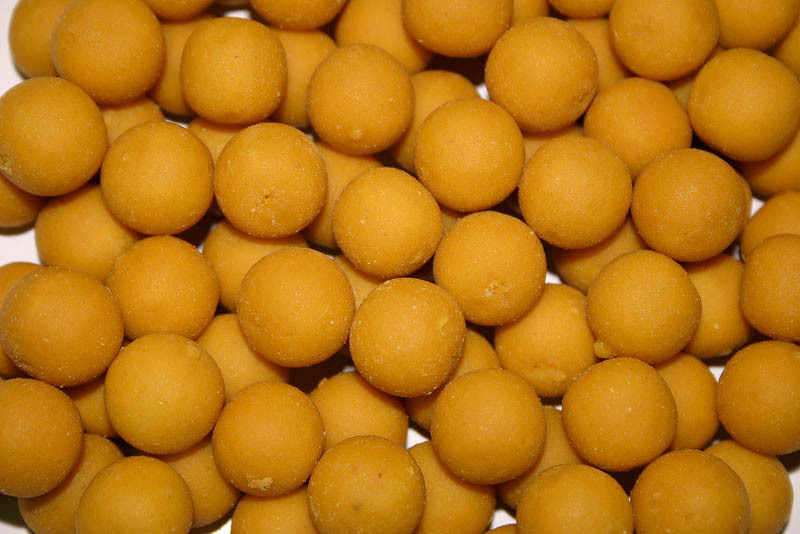 Stack of yellow coloured fishing protein pellets. Fish food pellets. Bait fish little balls.